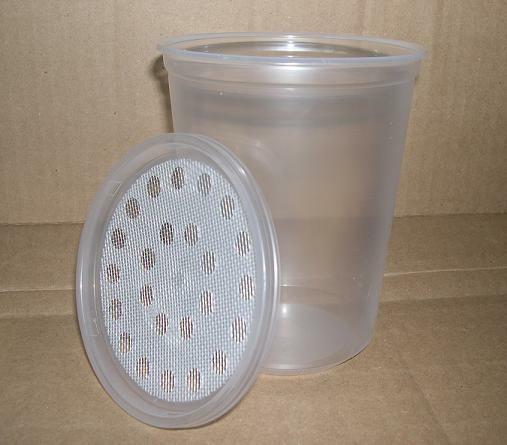 These 32oz clear plastic containers are great for nymphs of all species, and even adults of small to medium size. 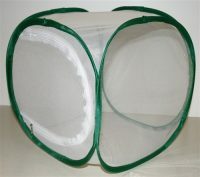 Mantids have an easy time climbing the sides and cling to the aluminum mesh lid with ease. The aluminum lids do NOT prevent fruitflies from escaping. 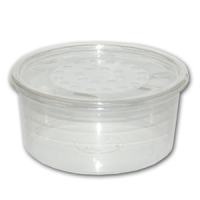 If you would like to substitute a poly fabric lid to keep fruitflies in, please say so in the order notes.